Discover a gentle pace in the picture-perfect lanes, independent shops and innovative restaurants of this charming town that most weekenders miss. Not so long ago, the town of Frome (pronounced ‘Froom’) cut a somewhat scruffy and neglected figure, lost among the quaint Somerset countryside. Today it is a thriving cultural hotspot, named by The Times in 2018 as one of the best places to live in the UK. 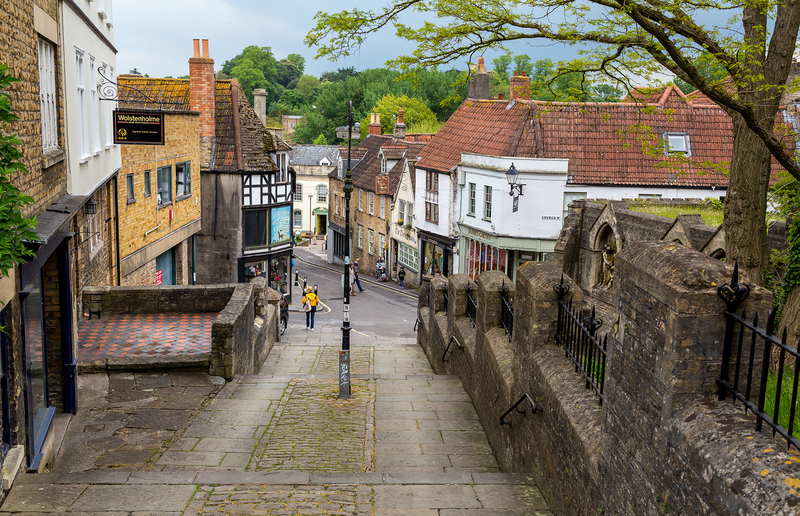 Medieval cobbled streets, some of which feature in the BBC drama Poldark, ramble and wind their way into Frome’s pretty town centre, where a spring-fed leat (a watercourse dug into the ground) runs through the middle of the pedestrian-only Cheap Street. Home to nearly 400 listed buildings Frome is very easy-on-the-eye. The town’s flourishing food and arts scenes are a big draw too – it has more than its share of independent cafés, shops, restaurants and galleries. 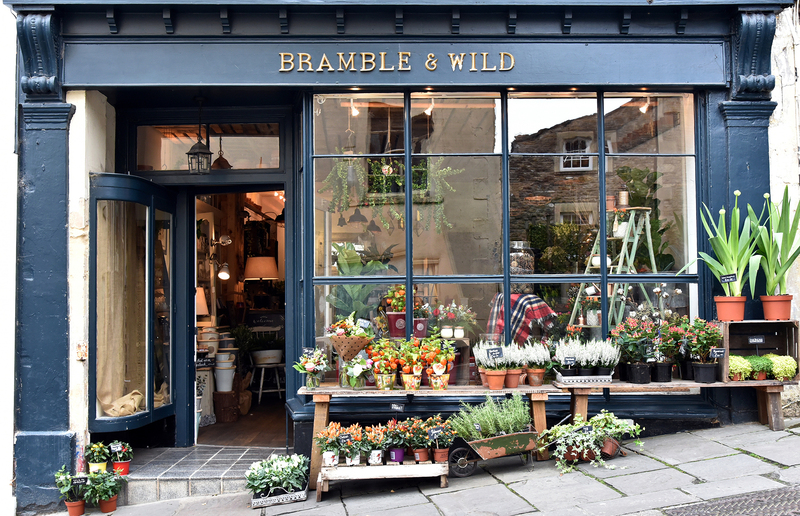 Frome celebrates its heritage as a market town with the monthly Frome Independent, which transforms the centre into a giant marketplace, with stalls selling everything from West Country cider and kimchi to vintage collectables and antique furniture. There’s plenty going on during the rest of the month too, making Frome the perfect place for a weekend break. From London there are three direct trains a day, taking just under two hours. Bath and Bristol are both under an hour by train too. By car, the M4 and M5 are around an hour away, with the M3 a scenic 90-minute drive across the edges of Salisbury Plain. Here's how to make the most of 48 hours in this lovely West Country town. Check in at: either the Archangel or Bistro Lotte. 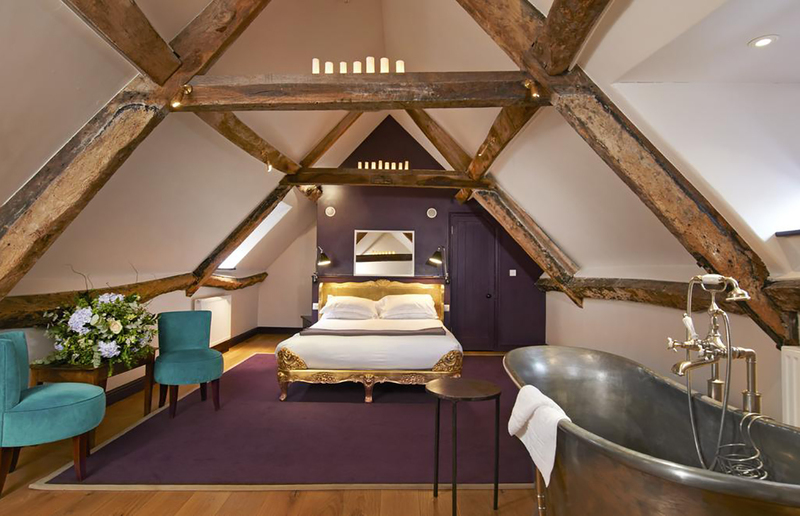 The former is a charming bed and breakfast set in a 14th-century coaching inn with 10 rooms in the town centre, the latter a recently-renovated French-style bistro with six pretty rooms at the top of Catherine Hill. Alternatively, try The George or The Cornerhouse. If you're planning on visiting when the Frome Independent is on, you should book as far in advance as possible. Take a walk: around the compact and easy to explore town centre, located in a dip in the middle of Frome. A good starting place would be the Frome Heritage Museum, located on North Parade (open Tuesday-Saturday, and market Sundays). Or try the Cheese and Grain, the town’s former market hall, now a restored not-for-profit community space and live music venue – the Foo Fighters played a surprise gig here in 2017. If you fancy strolling further, head over the bridge and turn right onto Willow Vale. Keep going with the river on your right, and you’ll pass under a railway bridge. From here, head right into the fields and loop around, or turn left up the steps to Millennium Gardens. 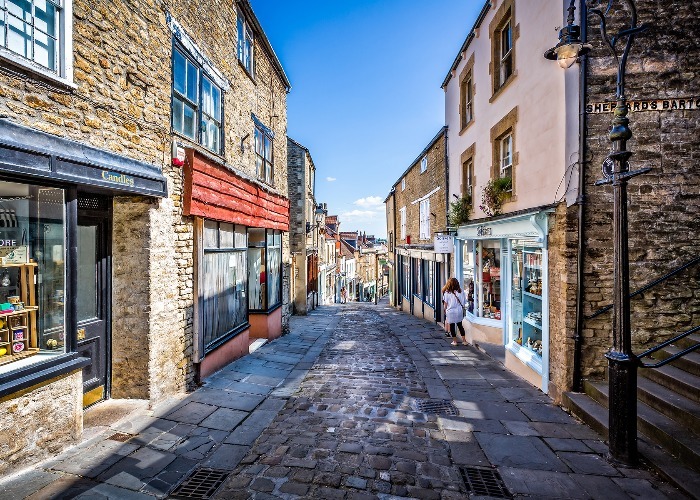 If you want to explore the town centre, follow your nose and see if you can find Cheap Street, King Street, Paul Street and Catherine Hill – you won’t get lost. Stop for dinner at: the Archangel. The hotel's restaurant serves modern British classics, using local ingredients such as Somerset rarebit and smoked Wiltshire ham together with a good selection of tasty cocktails. Bistro Lotte serves classic French dishes like baked camembert, steak frites and beef bourguignon in a beautifully refurbished space. Alternatively, try the Thai Kitchen, a small but exceptional restaurant just off King Street. Due to high demand and limited spaces, you’ll need to book ahead. For a drink head to: The Three Swans. Just around the corner from the Archangel on King Street, it's one of the oldest pubs in Frome. Small but cosy (there’s a stove in each room), the Three Swans has a great selection of board games too. For coffee and breakfast try: The River House. Located on the bridge in the town centre, The River House offers a great selection of breakfast dishes, including French toast and granola bowl. You can also head to the Rye Bakery. Housed in an old church, it's a short walk from the centre but well worth it. 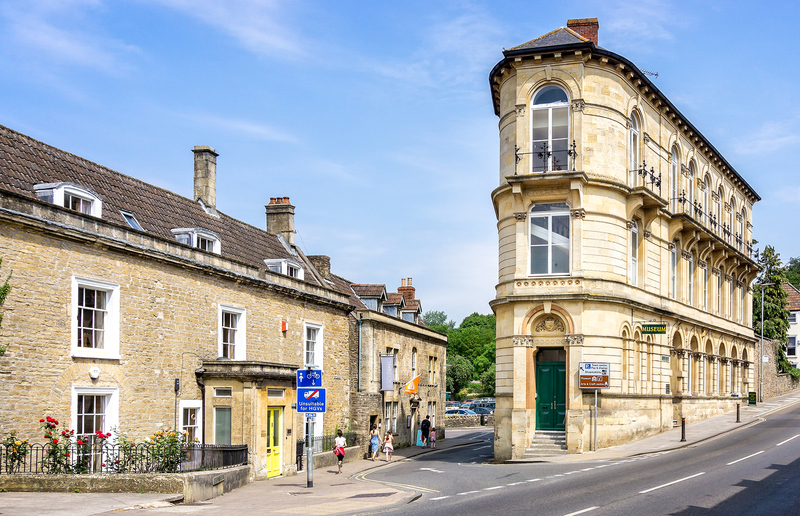 Hit the shops: once you’re suitably caffeinated, it’s time to hit the town and Frome is home to plenty of independent and vintage shops. Start on Cheap Street (the one with the leat running through it). Flick through some records in Raves from the Grave, pop into the Hunting Raven bookshop or find a unique Frome souvenir in Amica, a gift shop. Opposite Amica in a Tudor-fronted building is the Old Bake House, if you fancy a snack. At the top of the street you’ll see the spring that feeds the leat – the steps to the right of it lead to St John’s Church, a Grade II-listed building from the late 12th century. Continue to Catherine Hill, where you'll find everything from flowers and trainers to haberdashery and vintage dresses. Tea lovers should go to Moo and Two for a specialty brew. Have lunch at: the Black Swan Arts Café, which is attached to an exhibition space, for a light bite. Dine at: Fat Radish. Serving modern food with innovative twists, expect to see dishes like slow roast pork belly and grilled mackerel on the menu here. The highly rated High Pavement Restaurant (open Saturday–Sunday only), run by a local family in their own house with a menu that changes each week, is also a great option (advance booking is essential). Have a nightcap at: The Griffin. Renowned for its selection of locally brewed beers, the pub is supplied by the Milk Street Brewery, which began life on the pub’s premises before outgrowing it and moving to the outskirts of town in 2016. If you’d rather a nice glass of red and some cheese, try the Palmer Street Bottle – a chic wine bar just off Catherine Hill. If you’re visiting on market day, then just go with the flow. If the market isn’t on: try the Garden Café for a tasty vegetarian breakfast and sit outside if you can, weather permitting. Get out and about: There are several fascinating sites close to Frome. 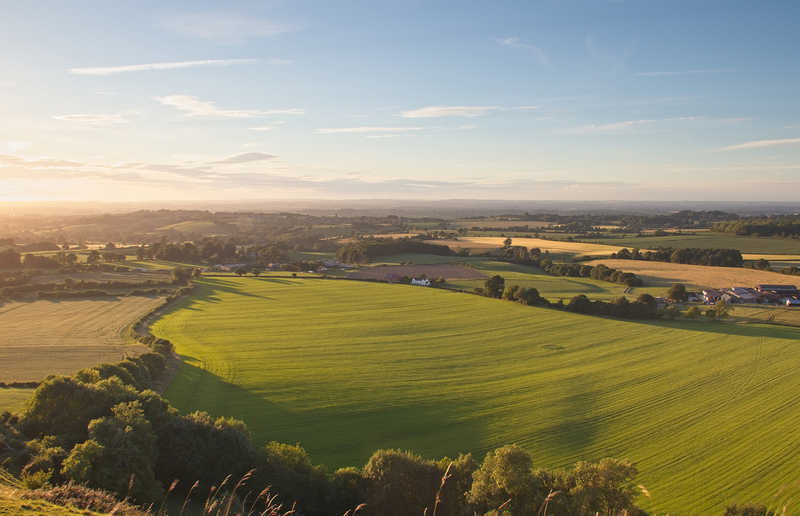 Cley Hill, a large Iron Age fort offers sweeping views from its summit, and Longleat House and safari park are a short drive away. Even closer by – in walking distance for the experienced – is the village of Nunney, home of a stunning 14th-century moated castle and an excellent pub, The George. Then there is Mells, location of First World War poet Siegfried Sassoon’s grave, and the spectacular Walled Garden. Don’t leave Mells without popping into the Talbot Inn for a drink. 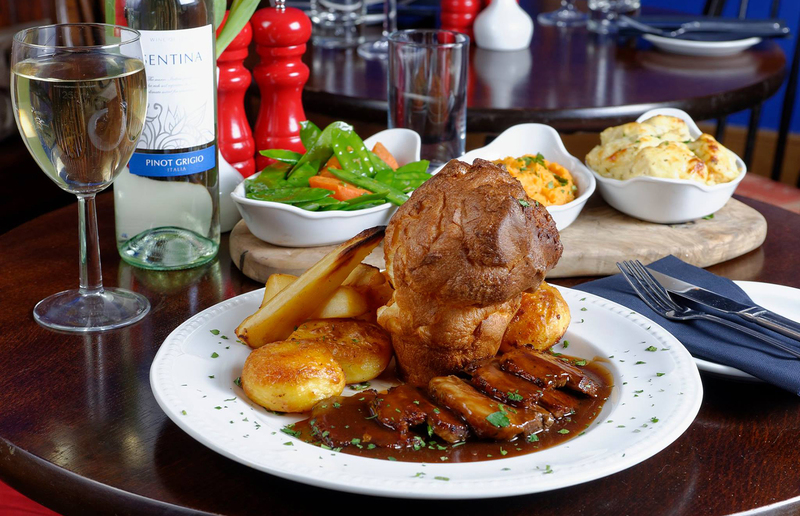 Order a roast dinner at: The Three Swans. Grab yourself a cosy corner on this King Street restaurant, or head up to the The Old Bath Arms on Bath Street, renowned for its hearty roasts and winner of Channel 4’s Three in a Bed in 2015.